"Nautilus Formation Sunrise" framed in the box mounting style. 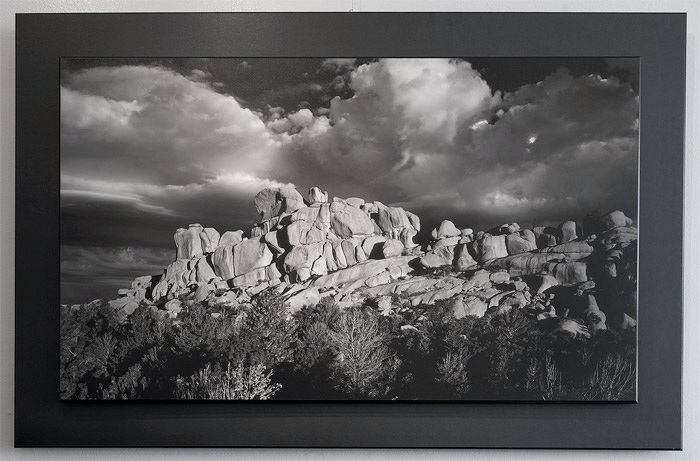 With traditional framing materials such as acrylic or glass (even expensive museum-quality or anti-reflective glass), you would see your reflection on the print's surface from this angle. 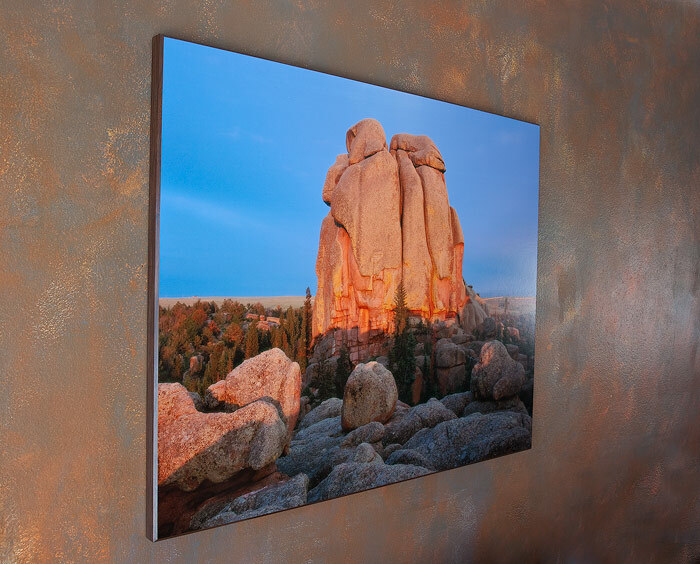 Plaque mounting eliminates reflections and allows the colors and tones of the print to shine through without any distractions. 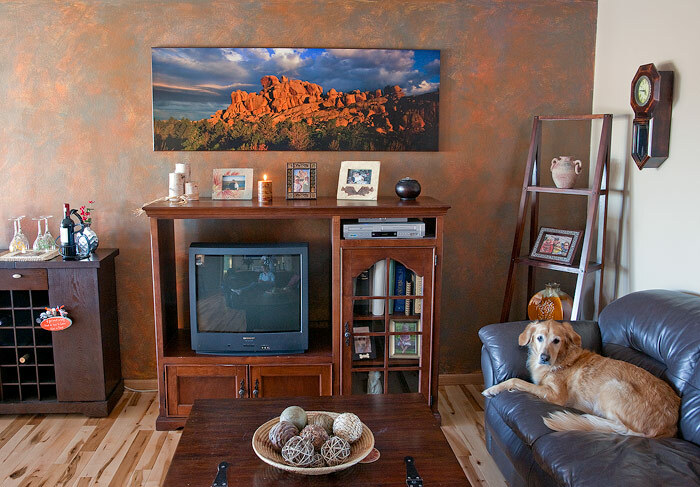 This characteristic is especially useful for prints hung near windows or with direct lighting. Photo © copyright by Brett Deacon. 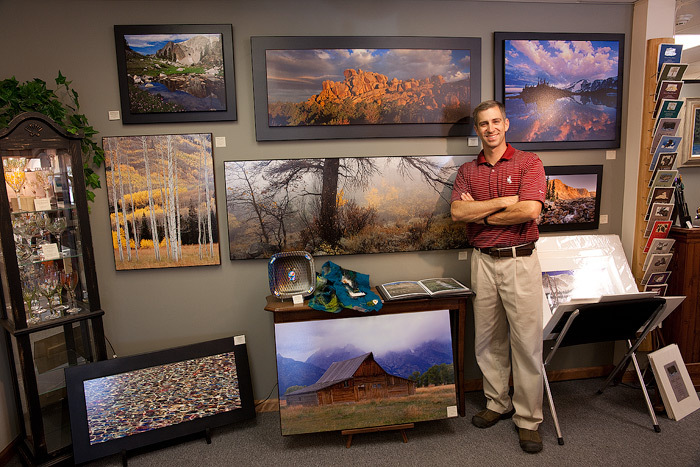 Note the absence of glare or reflections even when viewed at an extreme angle next to a window. Photo © copyright by Brett Deacon. 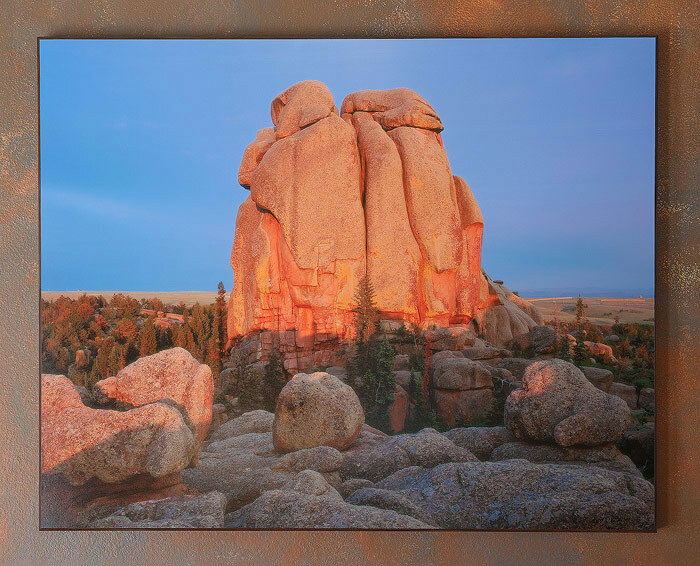 A 22x62 print of "Vedauwoo Sunrise Panorama" framed in the box mounting style. This print makes a beautiful addition to my living room! Photo © copyright by Brett Deacon. 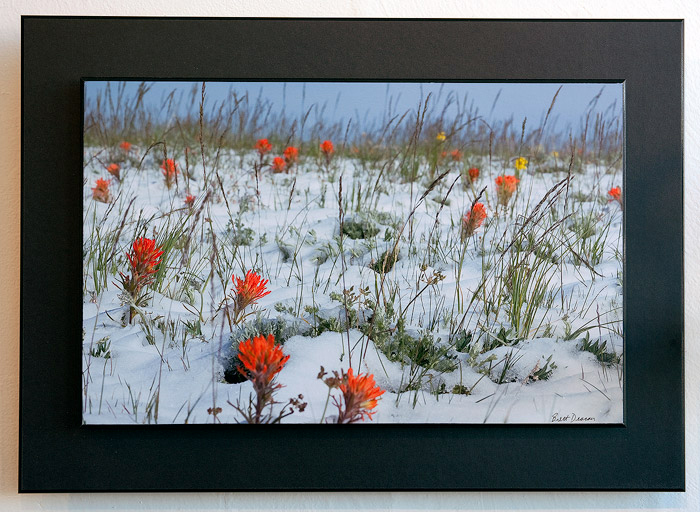 "Indian Paintbrush in Snow" framed in the double plaque mounting style. Photo © copyright by Brett Deacon. Close-up view of the above print. 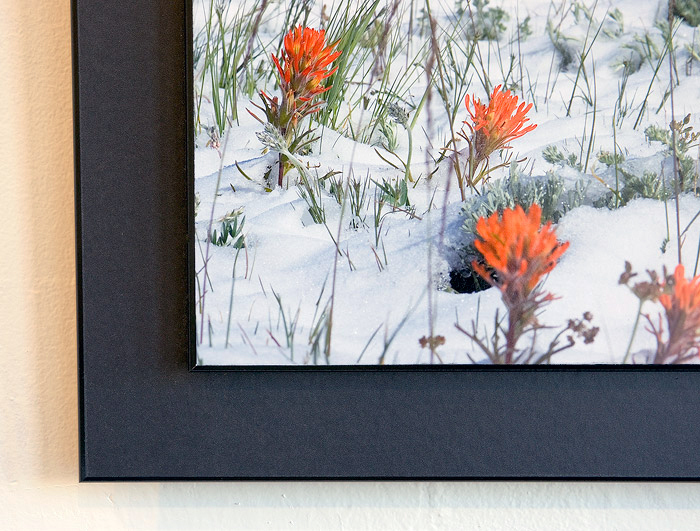 Note how the separation between the plaques creates a three-dimensional look. Photo © copyright by Brett Deacon. 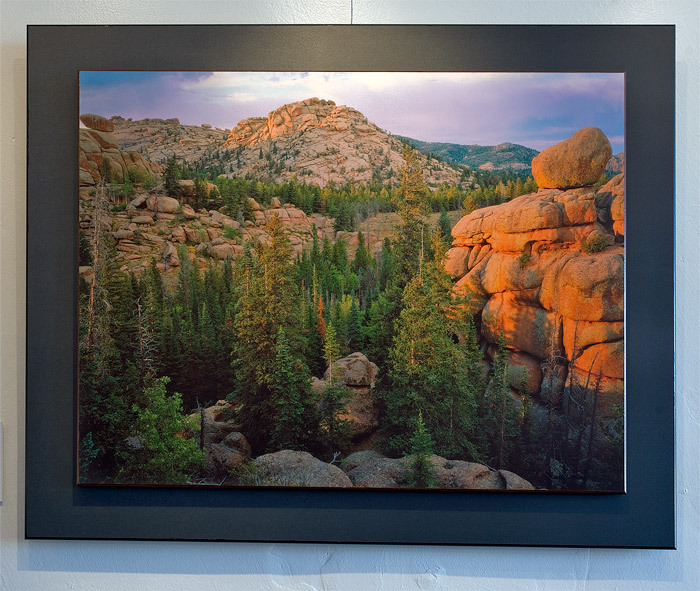 "Sunset, Vedauwoo" framed in the double plaque mounting style. Photo © copyright by Brett Deacon. 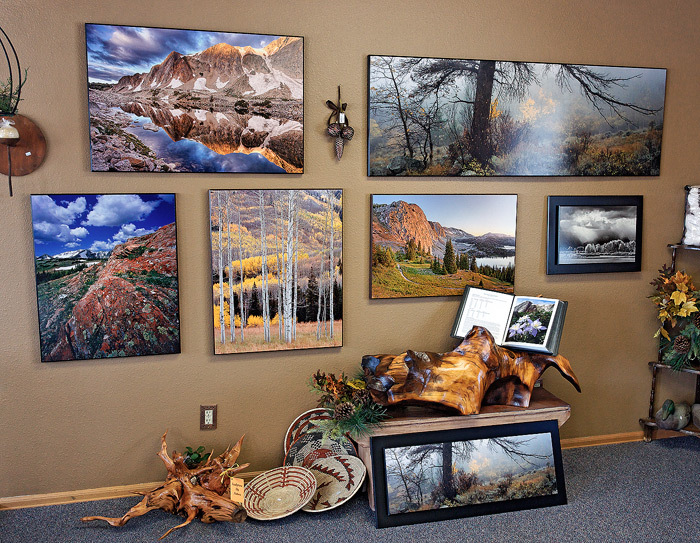 Both framing styles are also shown here. Photo © copyright by Brett Deacon.